How many ways can you embellish our Channel Bangles? The possibilities are endless! 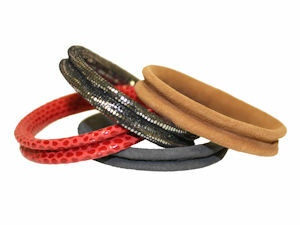 Our Channel Bangles are composed of a genuine leather bangle core covered with comfy suede. They are available in 2 sizes in solids and patterns.